I've discussed Slender and Slender Man's Shadow in the past, but in their wake has come a veritable onslaught of independent, free games flying a banner of "horror" and trying to get a piece of the YouTube scaredy-cat pie. In an effort to not afraid of anything, I've played a fair amount of them, and here's a rundown of some of the titles getting kicked around in the dark. Forget Me Not Annie tries to take the psychological route when it comes to its fear, favoring atmospheric oppressiveness over jump scares (though there are a couple of those), and pairs its brooding terror with a first-person perspective and some interesting puzzles. The titular Annie is accompanied by a seemingly sentient teddy bear, attempting to escape some sort of facility and aided by his ability to swap places with her in space at any point. The game is effectively a demo, as its closing screen even admits, but it's an interesting glimpse at what its creators would have liked to do with more resources and time. The puzzles alone are a refreshing diversion from the usual "collect X y's" formula of "Slenderesques," and it would have been nice to experience a fuller telling of the story the game presented had it been finished. 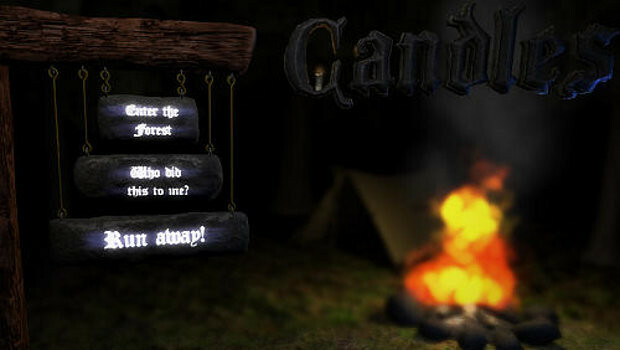 Mangy Games' Candles comes off as fairly promising at first, starting players off in a dark forest, following the only available lit path to the unnamed character's home, where the lack of power forces you to rely on candles to light your way from room to room as you search for keys to the generator-housing basement. Imps lurk in the house's dark corners, which, while creepily designed, fail to be particularly scary. Their inability to approach lit areas without evaporating makes it easy to just pop in a bit, activating a room's candle, and then step back until one disappears, and while their glowing eyes seems intended to add to the imps' menace, it would've been more effective to place them in the periphery of players' views rather than smack in the middle of plain sight, making for some surprise attacks. The game's final sequence is also a bit borked on the physics side of things, to the point that it seems the game is actually broken when you're trying to accomplish the last task, so stick with it if you really need to see the ending. Candles is rather good-looking for an indie freebie, but its hobbled approach to horror sensibilities makes it feel half-baked. 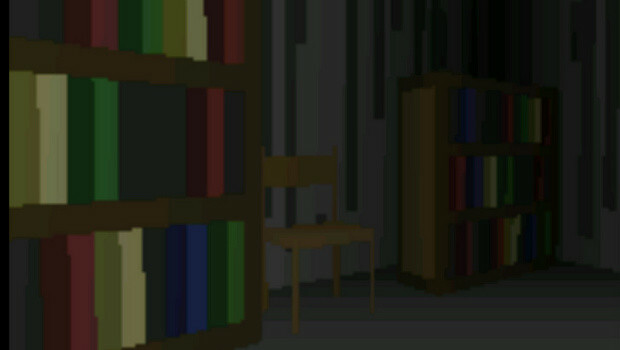 Don't let its low-res imagery fool you; Ivan Zanotti's Imscared is brilliant. 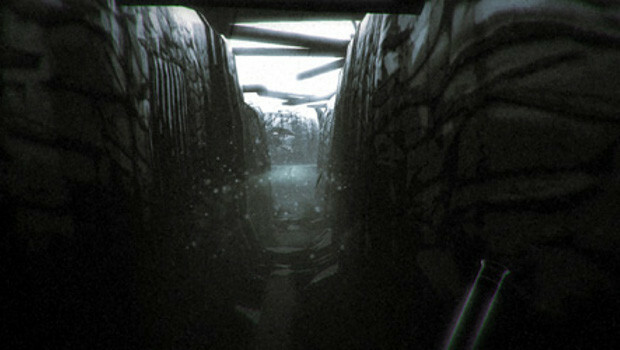 Not seeing fit to stay within the bounds of a game itself, Imscared extends its reach into your computer, creating files as you play through that expand and elaborate upon your experience that truly is a little freaky. The game's finish is a bit weaker than its onset, and there are some minor translation gaffes due to Zanotti being Italian and not entirely fluent in English, but they're easily overlooked once you've gotten underway. To say more, or to post screenshots of anything besides the environment, would ruin it, so let's just say this is truly a game for the after-dark, headphones-only crowd. Set in the already bleak realm of a blasted-out, body-strewn, World War I battlefront trench, 1916: Der Unbekannte Krieg (or The Unknown War, if you're not Deutsche-inclined) charges the player with one, seemingly simple task: find the ladder. The difficulty of said task increases dramatically upon your discovery of something else roaming the trenches, turning what starts as just a wander through unfamiliar territory into a heart-pounding, frantic flight for your life. The only hint I can give without spoiling anything is to look down; many of your fallen comrades bear items that you wouldn't expect to be useful in most cases, or even usable. Short, but sweet, and admittedly a bit frustrating until you start taking better stock of your environment, 1916 will give your pulse a run for its money. 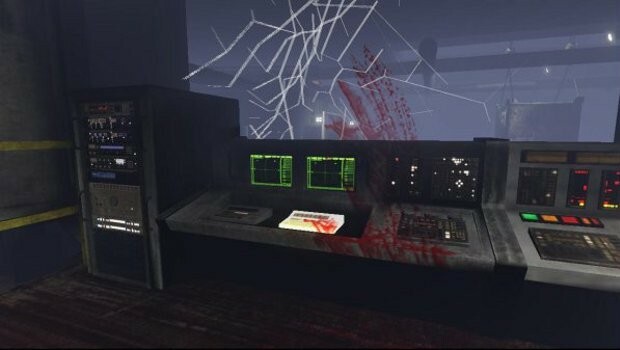 Lauded by some horror game fans as one of the best indie scares out there, Erie drops you into an abandoned power plant where something terrible has, or perhaps still is, happening. Relying on repeat playthroughs to find optimal routes for avoiding whatever it is that stalks you through the plant's halls, Erie unfortunately succumbs to the growingly tiresome trope of turning a sneak for your life into a collect-a-thon. 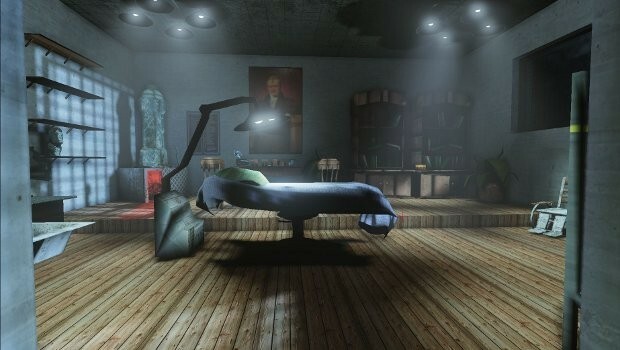 However, the collectibles scattered throughout the facility do a nice job of fleshing out the game's story, which is more than can be said for the pages in Slender or most other Slender-Man-inspired games, so they're worth going out of the way to obtain. This game also gives one of the best feelings of being completely and utterly screwed once the monster is on your trail, making it quite a bit scarier than some of the other games here. This is just a sampling of some of the free horror offerings out there, and expect a follow-up or two once I get through a few more; for instance, I was going to do a section on creepypasta-based The Theater, until I learned there were two versions and I may have been playing the less polished (and more crash-tastic) of the two, and I'd like to give the other one a chance. Even with the less engaging ones, it's nice to see more aspiring gamemakers trying their hand at the horror genre, and reliance on the increasingly overplayed Slender Man card being slowly shunted aside for some truly original frights.